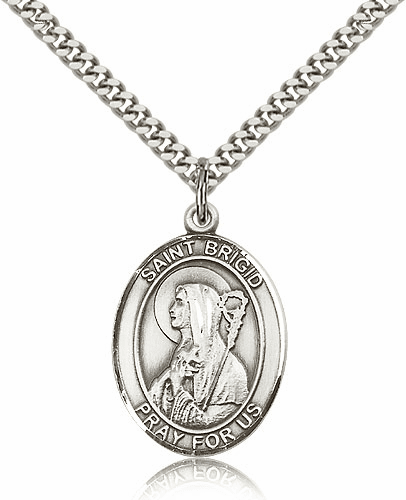 St Brigid of Ireland, also known as Saint Brigit of Kildare. She is an early Christian Irish nun and founder of several monasteries of nuns. The daughter of a pagan Scottish king and a slave, Brigid grew to be a beautiful daughter. She renounced her beauty, praying to become ugly, so her many suitors would be turned away. She became a nun and established double monasteries. She is also the patron of children with unmarried parents. 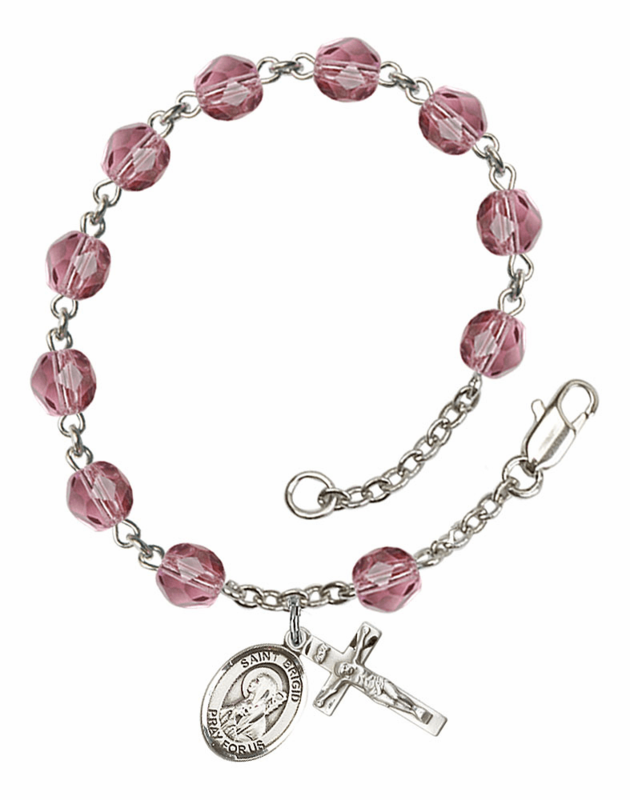 Saint Brigid of Ireland is the patron saint of Midwifes, Babies, Blacksmith, Boatmen, Cattle, Chicken Farmers, Nuns, Ireland, Travelers, Scholars, and Sailors. Saint Brigid of Ireland memorial feast day is February 1st. 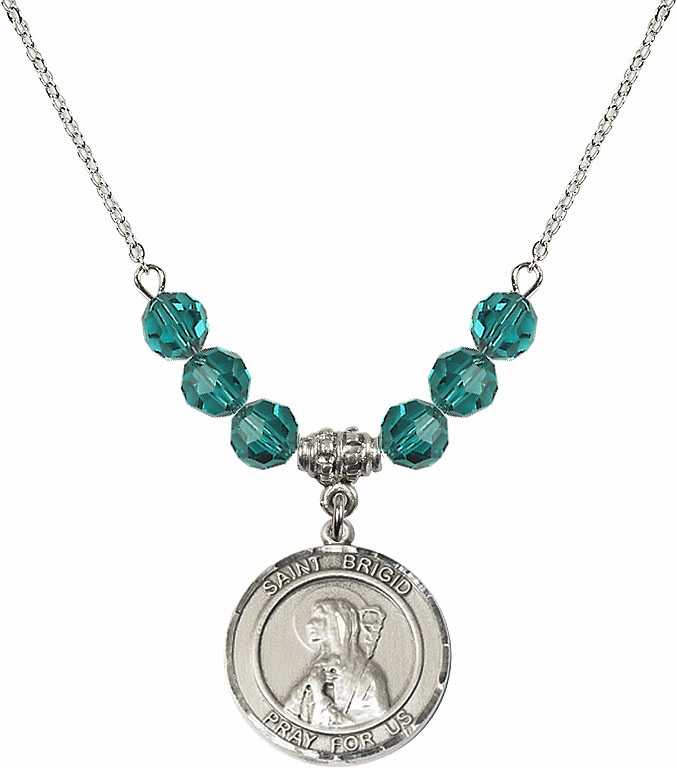 St Brigid of Ireland Medals comes in sterling silver, gold-filled, gold/sterling, 14kt gold and is available in various sizes, from small charms to large medals. 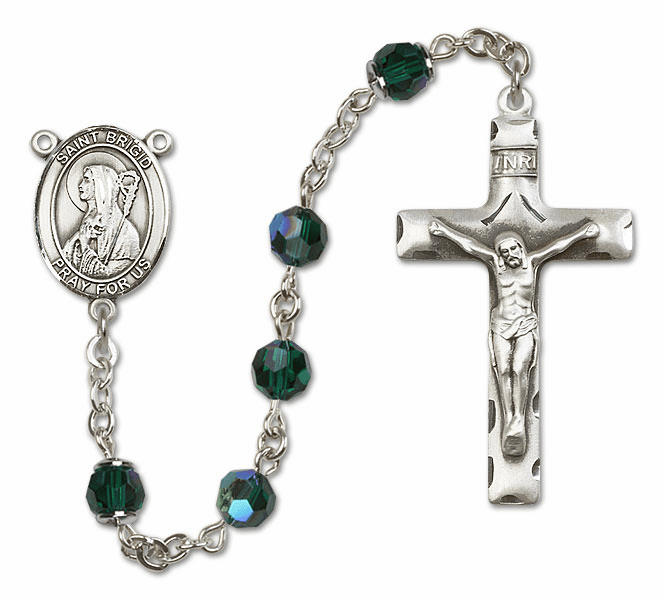 Religious saint medals are made in the USA by Bliss Manufacturing, Creed Jewelry, HMH Religious, Jeweled Cross, McVan Inc., and Singer Company.